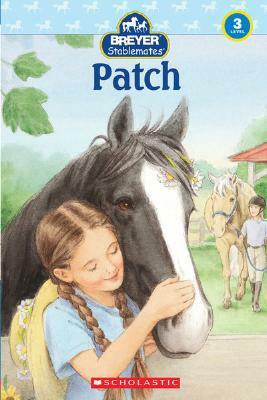 This delightful story about the Stablemates' pinto, Patch, is now available in paperback! Lauren loves Patch, her Pinto horse. When they meet Sarah and her Palomino horse, Sarah is difficult to get along with. Will a walk in the woods and a spooky surprise teach Sarah the true meaning of friendship? With fun facts about Pintos and Palominos, this easy-to-read chapter book is perfect for any girl who loves horses! Kristin Earhart grew up in Worthington, Ohio, where she spent countless waking and sleeping hours dreaming about horses and ponies. She started riding lessons at eight. Kristin's pony, Moochie, and her horse, Wendy, were two of the best friends a girl could have. She now lives and writes in Brooklyn, New York, with her husband and their son.